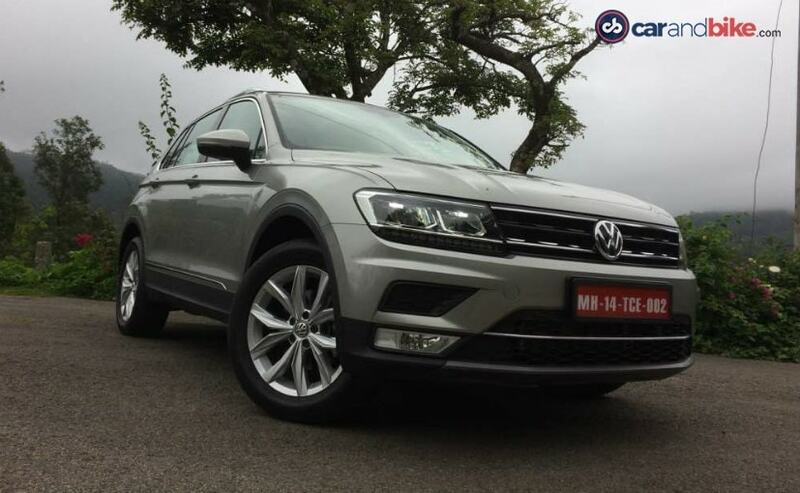 The newly launched Volkswagen Tiguan comes to India as a Completely Knocked Down (CKD) kit and is locally assembled at the company's Aurangabad facility along with the other Volkswagen Group models. VW India's new flagship, the Volkswagen Tiguan was introduced in the country earlier in May this year and is the company's global bestseller. Continuing the momentum in India too, Volkswagen announced in a recent statement that the Tiguan has garnered a waiting period of up to three months across India. As per the sales figures reported by SIAM, Volkswagen shipped 95 units of the Tiguan in May and 9 units in June 2017. The Volkswagen Tiguan is the first SUV to be built on the popular MQB platform. The SUV comes with a wide stance and prominent character lines that accentuate its SUV silhouette. The SUV is seen as more of an urban crossover than a proper off-roader. In its second generation currently, the Tiguan has grown in dimensions, and is now 60 mm longer, 30 mm wider and sits 33 mm lower than its predecessor. The model also comes with 4 Motion All-Wheel Drive system as standard on all variants, which will help on those occasional off-roading excursions. 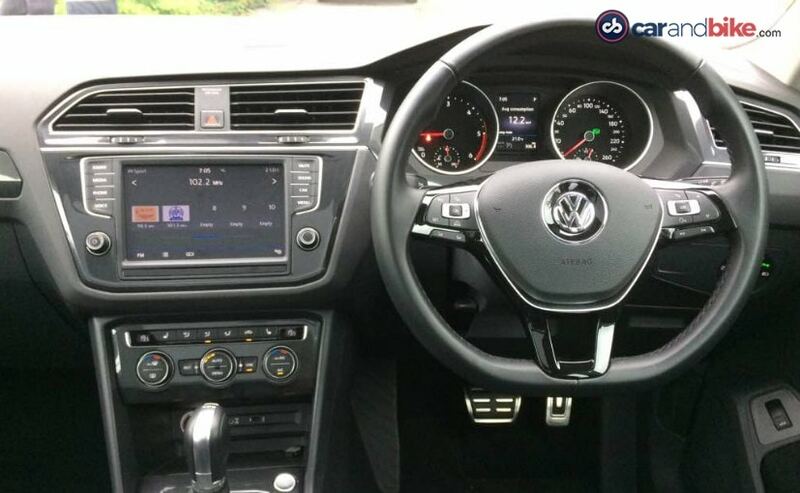 With respect to features, the Volkswagen Tiguan comes equipped with hill start assist, self-sealing tyres, cruise control, and rain and light sensor. The feature list includes 'Vienna' leather seats, cruise control, appConnect, LED headlamps with DRLs, LED tail lights, easy open boot, electrically foldable ORVMs, panoramic sunroof, keyless entry and more. Under the hood, the all-new Volkswagen Tiguan uses a 2-litre TDI diesel engine tuned to produce 141 bhp of power and peak torque of 340 Nm. The turbocharged, four-cylinder motor is paired to the company's tried and tested 7-speed DSG automatic transmission. While launched with a price tag of ₹ 27.98 lakh, the new GST norms swathe Tiguan receiving a significant price cut and now starts at ₹ 26.56 lakh for the Comfortline trim and ₹ 29.83 lakh for the Highline trim (all prices, ex-showroom Delhi). Volkswagen Passenger Cars India - Director, Steffen Knapp said, "The Tiguan has received a commendable response from the Indian market being the perfect companion, packed with the right amount of power, design and exceptional driving capabilities. It is our continued effort at Volkswagen, to bring the best of the brand to our customers and we are thankful for their support."